It’s hard to prepare your child for situations in which they can be bullied, in part because bullying manifests in myriad different ways. The National Center for Educational Statistics counts more than one out of every five students having been bullied. Twenty percent; these numbers are simply unacceptable. Mendi Baron, founder and CEO of Ignite Teen Treatment Centers and teen advocate, created a list of seven signs that help parents identify if their child is experiencing some form of bullying. Alert readers will notice that these are some of the primary symptoms of childhood depression. However, it is rarely easy to notice when your child has been targeted or abused by a bully. 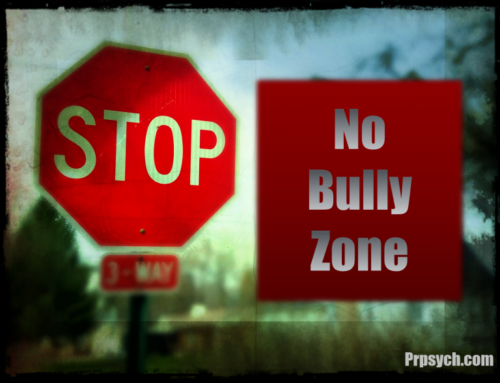 Let me ask readers this – has bullying become more prevalent or have we all simply become more attentive to the signs? Or, alternatively, has the definition of bullying significantly broadened in the past generation? This post doesn’t seek to answer those questions—merely to raise awareness of bullying and alert parents to potential signs. If you suspect that your child might be being bullied, you must help them understand that their pain is important to other people. Bullying is not something one should have to go through as a child–it does not have to be a part of growing up, like some tend to believe. An Alpha Parent doesn’t let bullying slip under his or her nose.